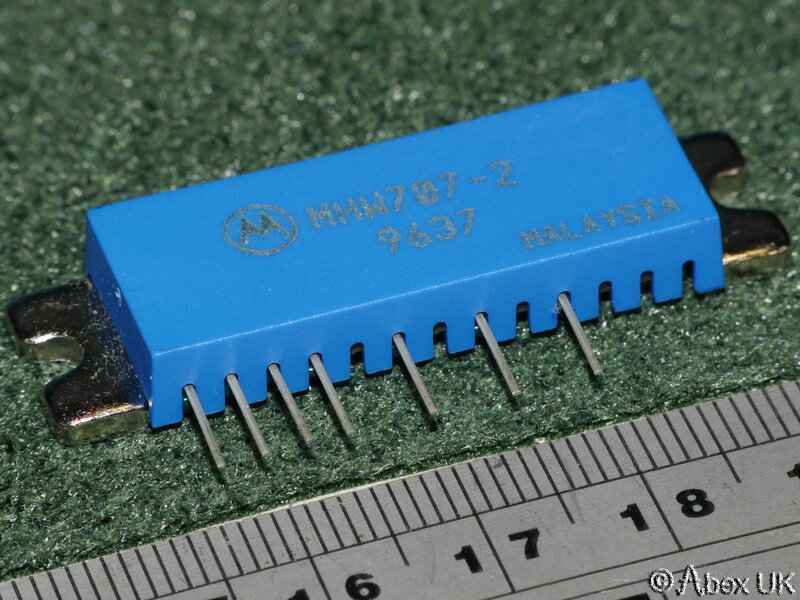 The Motorola MHW707-2 is a compact RF power amplifier module, capable of delivering 7W minimum output from 430-480MHz with a supply of 7.5V. Perfect for portable or mobile radio projects, or a driver stage in something bigger. Covers the UHF amateur band at 70cm. Please see datasheet for full details. 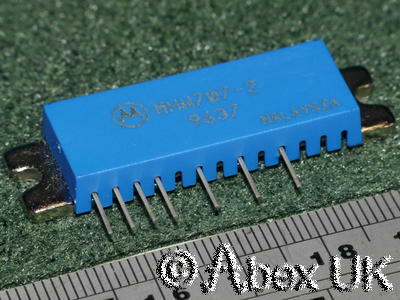 NOS (New Old Stock) This item has never been installed, soldered or used. It will be supplied in antistatic packaging.